Iyer, R., Caimano, M. J., Luthra, A., Axline, D., Jr., Corona, A., Iacobas, D. A., Radolf, J. D. and Schwartz, I. (2015). Stage-specific global alterations in the transcriptomes of Lyme disease spirochetes during tick feeding and following mammalian host adaptation. Mol Microbiol 95(3): 509-538. Luthra, A., Anand, A., Hawley, K. L., LeDoyt, M., La Vake, C. J., Caimano, M. J., Cruz, A. R., Salazar, J. C. and Radolf, J. D. (2015). A homology model reveals novel structural features and an immunodominant surface loop/opsonic target in the Treponema pallidum BamA Ortholog TP_0326. J Bacteriol 197(11): 1906-1920. Caimano, M. J. *, Dunham-Ems, S., Allard, A. M., Cassera, M. B., Kenedy, M. and Radolf, J. D. (2015). Cyclic di-GMP modulates gene expression in lymedisease spirochetes at the tick-mammal interface to promote spirochete survival during the blood meal and tick-to-mammal transmission. Infect Immun 83(8): 3043-3060. Brandt, K. S., Patton, T. G., Allard, A. S., Caimano, M. J., Radolf, J. D. and Gilmore, R. D. (2014). Evaluation of the Borrelia burgdorferi BBA64 protein as a protective immunogen in mice. Clin Vaccine Immunol 21(4): 526-533. Caimano, M. J. *, Sivasankaran, S. K., Allard, A., Hurley, D., Hokamp, K., Grassmann, A. A., Hinton, J. C. and Nally, J. E. (2014). A model system for studying the transcriptomic and physiological changes associated with mammalian host-adaptation by Leptospira interrogans serovar Copenhageni. PLoSPathog 10(3): e1004004. Miller, K. A., Motaleb, M. A., Liu, J., Hu, B., Caimano, M. J., Miller, M. R. and Charon, N. W. (2014). Initial characterization of the FlgE hook high molecular weight complex of Borrelia burgdorferi. PLoS One 9(5): e98338. Anand, A., Luthra, A., Edmond, M. E., Ledoyt, M., Caimano, M. J. and Radolf, J. D. (2013). The major outer sheath protein (Msp) of Treponema denticola has a bipartite domain architecture and exists as periplasmic and outer membrane-spanning conformers. J Bacteriol 195(9): 2060-2071. Miller, D. P., McDowell, J. V., Rhodes, D. V., Allard, A., Caimano, M., Bell, J. K. and Marconi, R. T. (2013). Sequence divergence in the Treponema denticola FhbB protein and its impact on factor H binding. Mol Oral Microbiol 28(4): 316-330. Salman-Dilgimen, A., Hardy, P. O., Radolf, J. D., Caimano, M. J. and Chaconas, G. (2013). HrpA, an RNA helicase involved in RNA processing, is required for mouse infectivity and tick transmission of the Lyme disease spirochete. PLoSPathog 9(12): e1003841. Radolf, J. D., Caimano, M. J., Stevenson, B. and Hu, L. T. (2012). Of ticks, mice and men: understanding the dual-host lifestyle of Lyme disease spirochaetes. Nat Rev Microbiol 10(2): 87-99. Hawley, K. L., Olson, C. M., Jr., Iglesias-Pedraz, J. M., Navasa, N., Cervantes, J. L., Caimano, M. J., Izadi, H., Ingalls, R. R., Pal, U., Salazar, J. C., Radolf, J. D. and Anguita, J. (2012). CD14 cooperates with complement receptor 3 to mediate MyD88-independent phagocytosis of Borrelia burgdorferi. Proc Natl Acad Sci U S A 109(4): 1228-1232. Harman, M. W., Dunham-Ems, S. M., Caimano, M. J., Belperron, A. A., Bockenstedt, L. K., Fu, H. C., Radolf, J. D. and Wolgemuth, C. W. (2012). The heterogeneous motility of the Lyme disease spirochete in gelatin mimics dissemination through tissue. Proc Natl Acad Sci U S A 109(8): 3059-3064. Dunham-Ems, S. M., Caimano, M. J., Eggers, C. H. and Radolf, J. D. (2012). Borrelia burgdorferi requires the alternative sigma factor RpoS for dissemination within the vector during tick-to-mammal transmission. PLoSPathog 8(2): e1002532. Anand, A., Luthra, A., Dunham-Ems, S., Caimano, M. J., Karanian, C., LeDoyt, M., Cruz, A. R., Salazar, J. C. and Radolf, J. D. (2012). TprC/D (Tp0117/131), a trimeric, pore-forming rare outer membrane protein of Treponema pallidum, has a bipartite domain structure. J Bacteriol 194(9): 2321-2333. Ristow, L. C., Miller, H. E., Padmore, L. J., Chettri, R., Salzman, N., Caimano, M. J., Rosa, P. A. and Coburn, J. (2012). The beta(3)-integrin ligand of Borrelia burgdorferi is critical for infection of mice but not ticks. Mol Microbiol 85(6): 1105-1118. Banik, S., Terekhova, D., Iyer, R., Pappas, C. J., Caimano, M. J., Radolf, J. D. and Schwartz, I. (2011). BB0844, an RpoS-regulated protein, is dispensable for Borrelia burgdorferi infectivity and maintenance in the mouse-tick infectious cycle. Infect Immun 79(3): 1208-1217. Caimano, M. J. *, Kenedy, M. R., Kairu, T., Desrosiers, D. C., Harman, M., Dunham-Ems, S., Akins, D. R., Pal, U. and Radolf, J. D. (2011). The hybrid histidine kinase Hk1 is part of a two-component system that is essential for survival of Borrelia burgdorferi in feeding Ixodes scapularis ticks. Infect Immun 79(8): 3117-3130. Desrosiers, D. C., Anand, A., Luthra, A., Dunham-Ems, S. M., LeDoyt, M., Cummings, M. A., Eshghi, A., Cameron, C. E., Cruz, A. R., Salazar, J. C., Caimano, M. J. and Radolf, J. D. (2011). TP0326, a Treponema pallidum beta-barrel assembly machinery A (BamA) orthologue and rare outer membrane protein. Mol Microbiol 80(6): 1496-1515. Pappas, C. J., Iyer, R., Petzke, M. M., Caimano, M. J., Radolf, J. D. and Schwartz, I. (2011). Borreliaburgdorferi requires glycerol for maximum fitness during the tick phase of the enzootic cycle. PLoSPathog 7(7): e1002102. Eggers, C. H., Caimano, M. J., Malizia, R. A., Kariu, T., Cusack, B., Desrosiers, D. C., Hazlett, K. R., Claiborne, A., Pal, U. and Radolf, J. D. (2011). The coenzyme A disulphide reductase of Borreliaburgdorferi is important for rapid growth throughout the enzootic cycle and essential for infection of the mammalian host. Mol Microbiol 82(3): 679-697. Luthra, A., Zhu, G., Desrosiers, D. C., Eggers, C. H., Mulay, V., Anand, A., McArthur, F. A., Romano, F. B., Caimano, M. J., Heuck, A. P., Malkowski, M. G. and Radolf, J. D. (2011). The transition from closed to open conformation of Treponema pallidum outer membrane-associated lipoprotein TP0453 involves membrane sensing and integration by two amphipathic helices. J BiolChem 286(48): 41656-41668. Balic, A., Aguila, H. L., Caimano, M. J., Francone, V. P. and Mina, M. (2010). Characterization of stem and progenitor cells in the dental pulp of erupted and unerupted murine molars. Bone 46(6): 1639-1651. Xu, H., Caimano, M. J., Lin, T., He, M., Radolf, J. D., Norris, S. J., Gherardini, F., Wolfe, A. J. and Yang, X. F. (2010). Role of acetyl-phosphate in activation of the Rrp2-RpoN-RpoS pathway in Borrelia burgdorferi. PLoSPathog 6(9): e1001104. Cox, D. L., Luthra, A., Dunham-Ems, S., Desrosiers, D. C., Salazar, J. C., Caimano, M. J. and Radolf, J. D. (2010). Surface immunolabeling and consensus computational framework to identify candidate rare outer membrane proteins of Treponema pallidum. Infect Immun 78(12): 5178-5194. Mulay, V. B.#, Caimano, M. J. *#, Iyer, R., Dunham-Ems, S., Liveris, D., Petzke, M. M., Schwartz, I. and Radolf, J. D. (2009). Borrelia burgdorferi bba74 is expressed exclusively during tick feeding and is regulated by both arthropod- and mammalian host-specific signals. J Bacteriol 191(8): 2783-2794. Salazar, J. C., Duhnam-Ems, S., La Vake, C., Cruz, A. R., Moore, M. W., Caimano, M. J., Velez-Climent, L., Shupe, J., Krueger, W. and Radolf, J. D. (2009). Activation of human monocytes by live Borreliaburgdorferi generates TLR2-dependent and -independent responses which include induction of IFN-beta. PLoSPathog 5(5): e1000444. Dunham-Ems, S. M., Caimano, M. J., Pal, U., Wolgemuth, C. W., Eggers, C. H., Balic, A. and Radolf, J. D. (2009). Live imaging reveals a biphasic mode of dissemination of Borrelia burgdorferi within ticks.J Clin Invest 119(12): 3652-3665. Tupin, E., Benhnia, M. R., Kinjo, Y., Patsey, R., Lena, C. J., Haller, M. C., Caimano, M. J., Imamura, M., Wong, C. H., Crotty, S., Radolf, J. D., Sellati, T. J. and Kronenberg, M. (2008). NKT cells prevent chronic joint inflammation after infection with Borrelia burgdorferi.Proc Natl Acad Sci U S A 105(50): 19863-19868. Radolf, J. D. and Caimano, M. J. (2008). The long strange trip of Borrelia burgdorferi outer-surface protein C.Mol Microbiol 69(1): 1-4. Mulay, V., Caimano, M. J., Liveris, D., Desrosiers, D. C., Radolf, J. D. and Schwartz, I. (2007). Borrelia burgdorferi BBA74, a periplasmic protein associated with the outer membrane, lacks porin-like properties. J Bacteriol 189(5): 2063-2068. Caimano, M. J. *, Iyer, R., Eggers, C. H., Gonzalez, C., Morton, E. A., Gilbert, M. A., Schwartz, I. and Radolf, J. D. (2007). 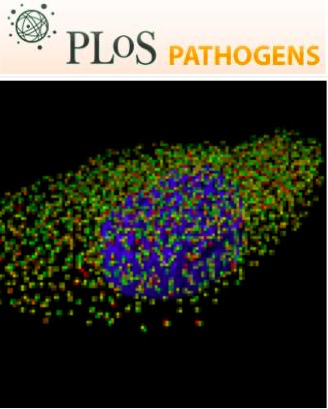 Analysis of the RpoS regulon in Borrelia burgdorferi in response to mammalian host signals provides insight into RpoS function during the enzootic cycle. MolMicrobiol 65(5): 1193-1217. Eggers, C.H., Caimano, M.J. and Radolf, J.D.(2006). Use of green fluorescent protein transcriptional reporters to study differential gene expression by Borreliaburgdorferi. In: Cabello, F.C.,Hulinska, D. and Godfrey, H.P. (eds).Molecular biology of spirochetes. IOS Press, NATO Science Series. Eggers, C. H., Caimano, M. J. and Radolf, J. D. (2006). Sigma factor selectivity in Borrelia burgdorferi: RpoS recognition of the ospE/ospF/elp promoters is dependent on the sequence of the -10 region. MolMicrobiol 59(6): 1859-1875. Schimanski, B., Brandenburg, J., Nguyen, T. N., Caimano, M. J. and Gunzl, A. (2006). A TFIIB-like protein is indispensable for spliced leader RNA gene transcription in Trypanosoma brucei. Nucleic Acids Res 34(6): 1676-1684. Caimano, M. J. * (2005). Cultivation of Borrelia burgdorferi in dialysis membrane chambers in rat peritonea. CurrProtocMicrobiol Chapter 12: Unit 12C 13. Benhnia, M. R., Wroblewski, D., Akhtar, M. N., Patel, R. A., Lavezzi, W., Gangloff, S. C., Goyert, S. M., Caimano, M. J., Radolf, J. D. and Sellati, T. J. (2005). Signaling through CD14 attenuates the inflammatory response to Borrelia burgdorferi, the agent of Lyme disease. J Immunol 174(3): 1539-1548. Caimano, M. J. *, Eggers, C. H., Gonzalez, C. A. and Radolf, J. D. (2005). Alternate sigma factor RpoS is required for the in vivo-specific repression of Borrelia burgdorferi plasmid lp54-borne ospA and lp6.6 genes. J Bacteriol 187(22): 7845-7852.